When you buy an SSL Certificate, you will probably ask your developer friend or a system engineer to install it. Alternatively you can ask your seller (e.g. SSL Dragon) to do the job for you. No matter who you assign to configure SSL Certificates on your websites and servers, we strongly recommend you to check if they did it properly. 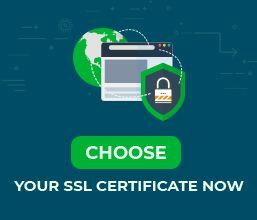 How to test if your SSL Certificate runs correctly? Qualys SSL Server Test will provide you with a thorough analysis of your SSL Certificate authentication and configuration. You can check the results for SSL Dragon’s website and User Account on SSL Dragon as an example. Note: Do not forget to check the “Do not show the results on the boards” checkbox in order to prevent your website’s SSL score on Qualys’s test page, in case you want your SSL score to remain private. Note: Do not forget to check the “Do not display test results in statistics” checkbox to avoid displaying your score on High-Tech Bridge’s test page. These online resources will tell you whether your certificate was properly installed and configured. In a case of a lower score, you will receive the exact warnings and useful information about your weak parameters. Your system administrator or web security engineer will have very detailed information about your SSL Certificate’s weaknesses, which they should fix. 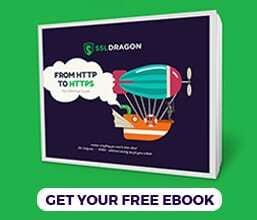 Why is it crucial to configure SSL Certificates the right way? The main reason for completing a correct SSL configuration is to ensure that your site is always secure. If you aren’t aware or you ignore your SSL Certificate’s weak parameters, your SSL Certificate may have severe vulnerabilities. Cyber-criminals are patiently waiting to exploit them. Letting your SSL Certificate have these vulnerabilities is a direct way to compromising your website, business, and brand. Don’t put aside your website’s safety. One missed update could lead to data breach and thus affect your entire business. Thus, take advantage of the available test tools to ensure maximum protection for your online store and for your customer’s personal information. Do not hesitate to contact our customer service team if you have any questions about how to configure SSL Certificates during the installation process.